PROUDLY SERVING THE BALDWINSVILLE COMMUNITY SINCE 1964! DONATE OR VOLUNTEER AND MAKE A DIFFERENCE! 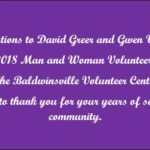 The mission of the Baldwinsville Volunteer Center is to encourage, support and empower volunteers (and ourselves) to meet the needs of and make a difference in the Greater Baldwinsville Community. 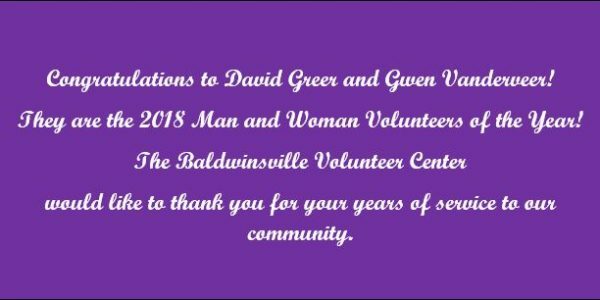 CONGRATULATIONS TO OUR 2018 VOLUNTEERS OF THE YEAR!